Whether you're meeting clients or just need a change of scenery for a team meeting, the venue can have a big impact. It might be to motivate, impress or provide a fresh perspective. Whatever the need, this list is made up of five beautiful yet functional spaces that tick all the boxes. Adapting to the changing nature of work, Timberyard Seven Dials is workspace that combines creativity and functionality fused with speciality tea and coffee and delicious food. The lower ground floor is a unique space with a diverse combination of quirky furniture and walls displaying lively exhibitions from local artists. Well equipped with high speed wifi and projection facilities it's an ideal venue for meetings of different sizes and occasions, in an alternative, relaxed environment. 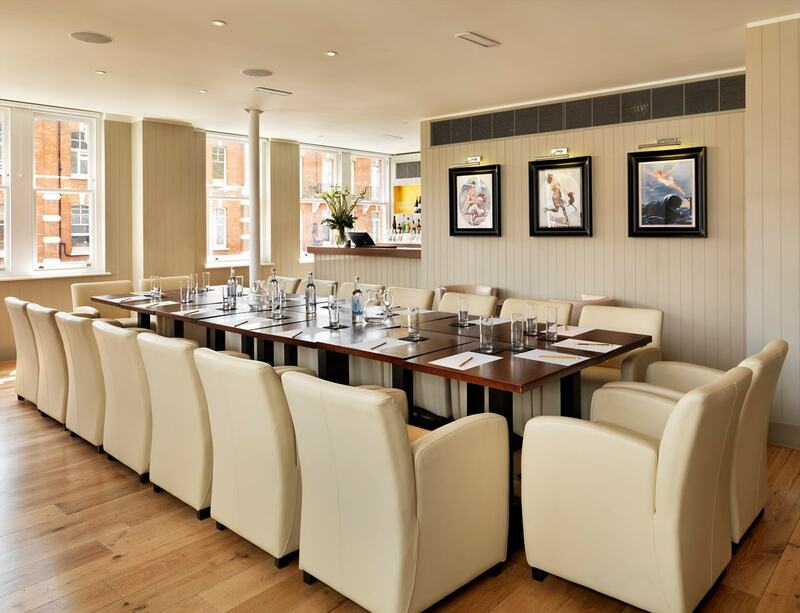 Located in the heart of London just moments from Leicester Square tube station, the venue also boasts an award-winning menu, filled with delicious, fresh food options alongside a full wine list and unusual artisan beers. 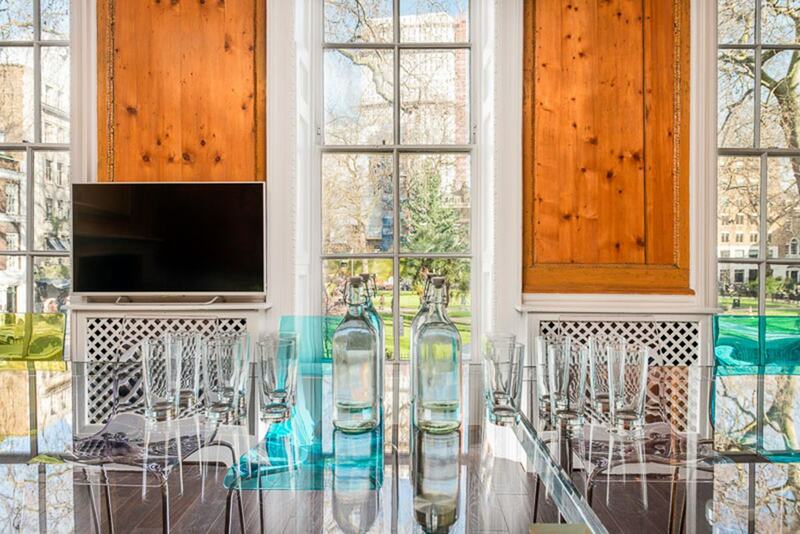 Set over four floors, the venue is stylish and luxurious with a prime location on Chelsea's King's Road, making it an ideal space for a client meeting, presentation or pitch. Perfectly suited to meetings, the Club Room is an intimate space with excellent facilities including a plasma screen and AV. Full catering is also available and wifi is included in the rate. Complete with a cocktail bar, brasserie and Champagne bar, this venue has everything you'd need to entertain after your meeting too. 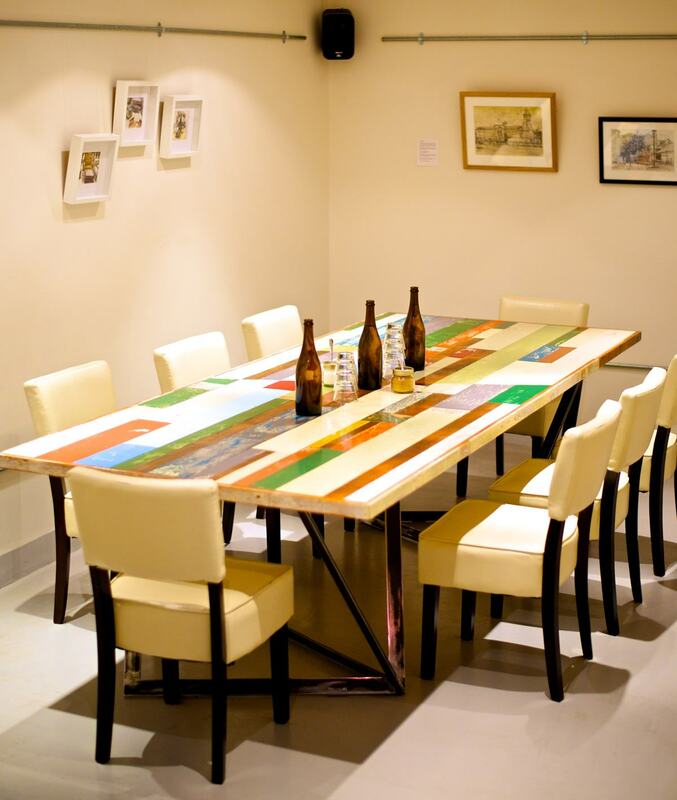 The meetings and events space at The Hoxton, Holborn is like no other. It comes in the form of a whole apartment, comprised of seven different meetings rooms including the dining room, the playroom and the library. These can be hired individually or the apartment can be hired as a whole. Each room varies in size so there is an option for every meeting capacity. They are also all beautifully decorated in a vintage style reminiscent of Mad Men. Oh and the best part? It even comes with its own Pantry that is always fully stocked with free drinks and delicious goodies to keep you and your delegates going throughout the day. Overlooking the historic Soho Square, this Georgian townhouse offers a traditional backdrop with a modern twist. The venue boasts a bespoke wood-panelled drawing room with floor- to-ceiling windows overlooking the square. An abundance of natural light make it a stunning room for a meeting. Despite its period features, the venue has everything you'd need for a meeting from wifi to screens, flipcharts and AV for up to 20 people. 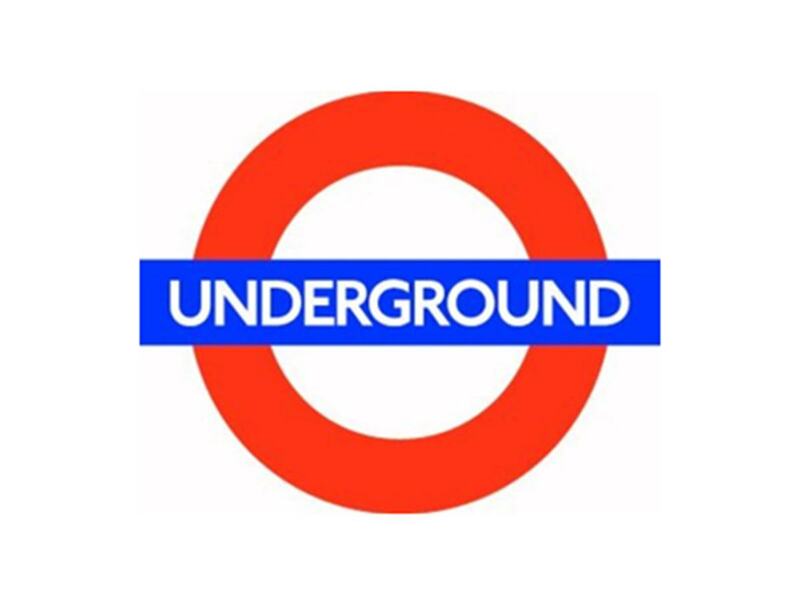 The great Central London location also makes it easily accessible, from a variety of tube links. 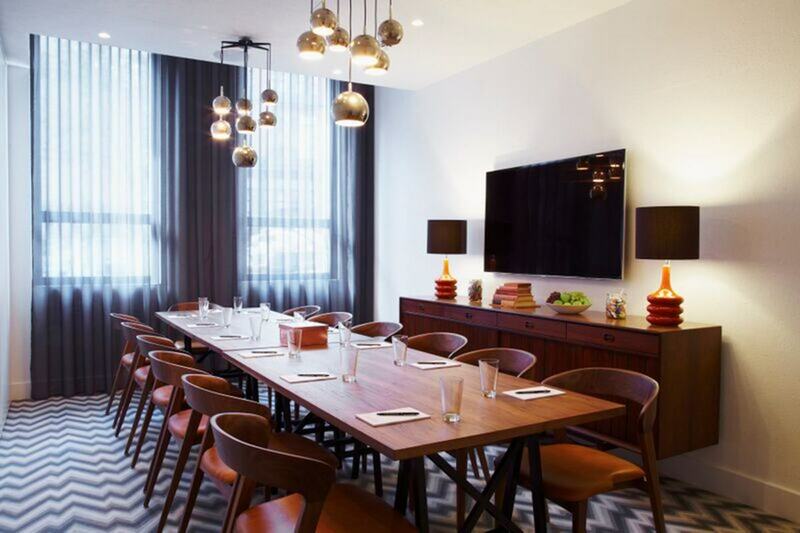 Stylish, modern and in a great location near the City, Malmaison London is an ideal venue for a meeting. With a number of spaces to hire including the restaurant Chez Mal, the Mal Lounge and smaller meetings rooms, it is highly flexible too. 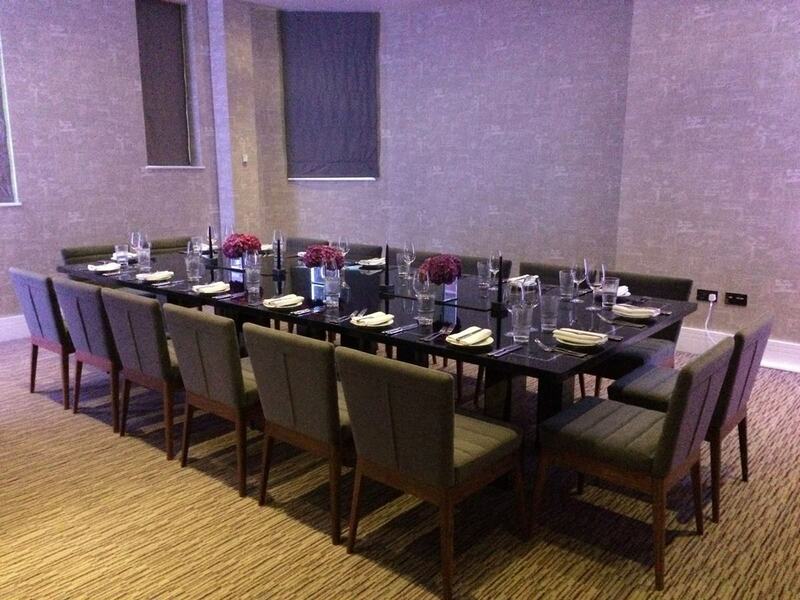 Perfect for small meetings, Mal One and Mal Two can accommodate up to 20 guests boardroom style. Bright and spacious, the rooms have plenty of natural light and are well equipped for every eventuality. There are a variety of day delegate packages available to suit all meeting requirements.